Art Institute. Well known as a sculptor in Dayton, Ohio, Koepnick was the Head of the Sculpture Department at the Dayton art Institute (DAI) from 1936-1975. As one would imagine from a sculptor who lived in Dayton for his entire life, Koepnick’s worked in a variety of different mediums including bronze, plaster, and wood which can be found all over the town of Dayton. A large number of Koepnick’s works were ecclesiastical in nature as with our Eve, whose actions are detailed in the Book of Genesis in the Bible. 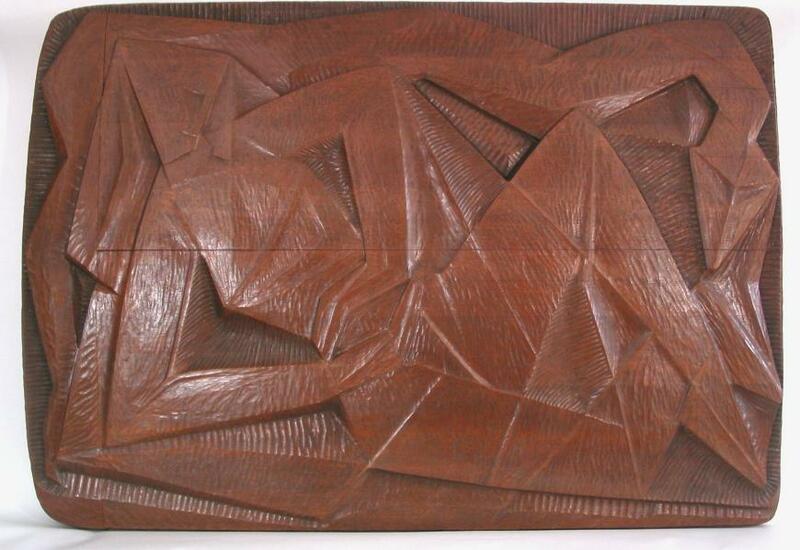 Our particular example executed in wood has been wonderfully and forcefully modeled as an abstract relief that has been meticulously maintained. Koepnick is remembered for his modern perspective on ecclesiastical art, and many of his works appear as architectural elements on churches and professional buildings throughout southwestern Ohio as well as around the United States.